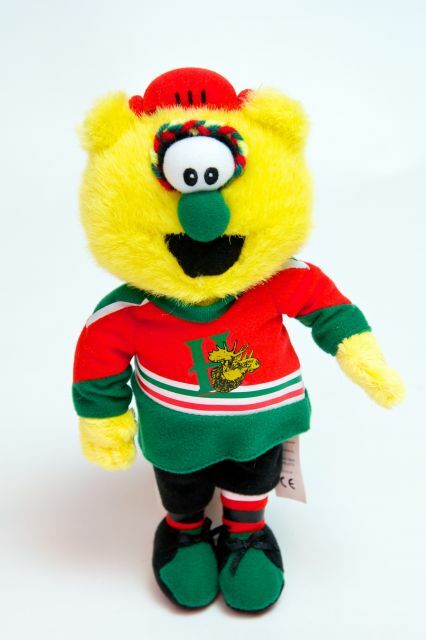 Rink Rover: Memorial Cup 2013: Your Guide to Taunts, Jeers, and Psyches for Each CHL Team! 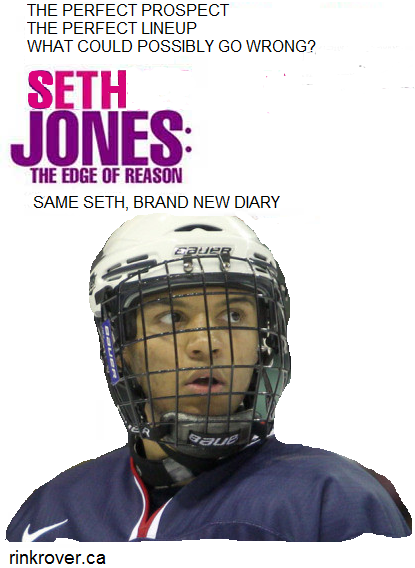 Memorial Cup 2013: Your Guide to Taunts, Jeers, and Psyches for Each CHL Team! This guide is for casual onlookers and emerging diehard fans of CHL hockey. To help prepare for being poor sports at games or watching from home, I've prepared some background info that can be used to talk-down each team competing for the Memorial Cup this week. I've also included some suggested taunts, jeers, and psyches for each team. Let me preface this post further with a note on terminology. I'm using "taunt" to refer to things chanted or sung by crowds in unison to demoralize an opposing team. By "jeer," I mean individual expressions of hostility that might be repeated during the game but not in a group fashion. The "psyche outs are designed to break a team's concentration (see the movie BASEketball for further clarification). Hailing from Portland, Oregon, the Winterhawks games are perhaps the most boring event that takes place in a city that is committed to weirdness. To live up to their unofficial motto "Keep Portland Weird," the city offers attractions such as a museum of velvet paintings, a form of street-racing that involves shopping carts and encourages mayhem, and something called the "24-Hour Church of Elvis," which I don't at all understand. Indeed, I suspect that the Wikipedia editors gave up on their attempts to define this attraction and have simply called the "church" an exhibit at a museum/gallery. 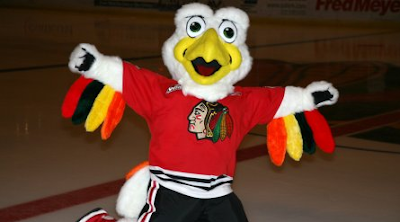 As the photo below suggests, the Winterhawks' official mascot is vague racism. The team named this member of their organization "Tom-a-Hawk." The name might be an an attempt to smokescreen any perceived inappropriateness of the mascot in a similar manner that a sketch on Dave Chappelle's Show gave the "N-bomb" as the surname of a white, suburban family in order to get a series of racial slurs and stereotypes past the network's censors. Much like the "paradox of the heap," this mascot seems culturally inappropriate, and yet I can't point to the specific element(s) that make it so. As the only CHL finalist located in America, it'd be easy for fans of opposing teams to rally around a nationalistic chant such as "No Way, USA" (tempo: clap clap clapclapclap). In reference to the ill-defined "church," spectators might chant "El-vis, El-vis, El-vis" repeatedly to dispirit the Winterhawks by reminding them that whether they win or lose, they still have to return to Portland at some point. I'll recommend a simple but effective way of ridiculing a team that I picked up on last summer. I went to see the semi-pro Toronto Maple Leafs of the Intercounty Baseball League last season at another team's ballpark. Fans of the home team showed support by jibing the team as though they were the NHL Leafs playing baseball during the offseason. With that in mind, it seems natural for opponents of the Winterhawks (a team frequently mistaken as an affiliate of the Chicago Blackhawks) to follow a similar practice. Obnoxious fans could, for instance, address (in a yelling tone of voice) Winterhawks centre Nicolas Petan as Jonathan Toews, who also wears #19. Catcalls might include: "Why so serious, Toews?" and "If Toews keeps playing this poorly, they'll send him down to play as a puck in the ECHL next/"
If mocking the Winterhawks for not being the Blackhawks gets old, hecklers could switch to calling players by the names of characters played by Fred Armisen on the show Portlandia, which is set in Portland, Oregon. Opponents could similarly play on the name of the Winterhawks' star defenceman Seth Jones by yelling, "At least you have something to whine about in your diary, Bridget" if he gets turned into a pylon by another team. In light of Portland's enthusiasm for yarn bombing, fans might distract the Winterhawks' opponents by throwing skeins of yarn on the ice whenever their team scores. To take things up a notch, they could develop their own version of the Vancouver Canucks' "green men" by having a yarnbombed person mock players in the penalty box. The "yarn men" would have the advantage of being both more colourful and warmer than their NHL equivalents. The Saskatoon Blades have the dubious honour of having both the second-longest Memorial-Cup drought (they've never won), and the longest drought between appearances in the final round of the competition (they made their one and only appearance in the final in 1967). The Blades chose the Yeti as their team's mascot in reference to the fact that cyptozoologists consider a championship-caliber Blades team to be less likely to exist than the fabled "abominable snowman." The Blades were swept in the first round of the WHL playoffs, so they've had to kill time over the last weeks while teams in each CHL league fought it out to earn a spot in the Memorial Cup playoffs that Saskatoon gets to waltz into automatically as the host city. Fans annoyed with the current playoff format might vent their frustration and deride the team least deserving of its playoff berth by chanting, "de-fault, de-fault, de-fault" when Saskatoon takes the ice. Based on a purposeful misreading of the team's nickname as referring to units of a common lawn plant, crowds could also chant phrases like, "Mow the grass," "Turf the turf," and "lye the lawn(?)" during games. To pun further on "Blades," hecklers might call players "daywalkers" or shout "Wesley Snipes can't save you now!" in reference to the trilogy of Blade movies. They could also mock the team by quoting Blade's famous line, "Some motherf***ers are always trying to ice skate uphill!" Fans might consider donning the team's gladiator helmet (given to the roster's player-of-the-game) and yell quotes from Gladiator or 300 at other teams. "This is where we hold them. This is where we fight. This is where they die!" Before addressing the team specifically, I'd like to make an appeal to readers: could anyone tell me what the Mooseheads' mascot Hal is supposed to be? Hal looks like the result of splicing together DNA taken from Teletubbies and Furbies. Of the competing teams, Halifax is tied with Saskatoon in having no Memorial Cups. The Mooseheads, however, are second to none among playoff teams when it comes to having the fewest alumni playing in the NHL. Defenders of the team might stress the value of quality over quantity, but saying so will only invite this rebuttal: "You mean 'quality players' like Brad Marchand?" And down will come Mooseheads, cradles and all!" 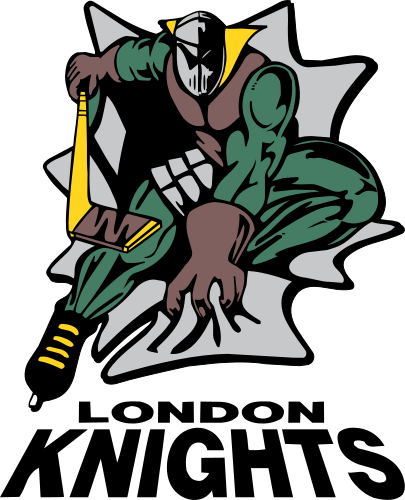 While the Winterhawks are often mistaken for an affiliate of the Blackhawks, the Mooseheads (or "Nooseheads" as I often mis-type them) are often mistaken for prospective beer leaguers. 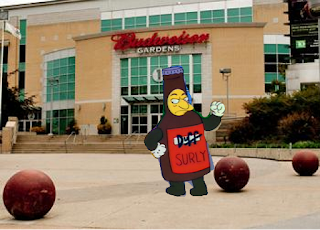 An appropriate jeer for this team might be, "Beeeeeeer Leeeeeeague." Ardent Haligonians might pair themselves up and dress as moose and flying squirrels in order to stand behind the enemy's bench and quote lines (revised to suit the occasion) from The Rocky and Bullwinkle Show. Rocky: Bullwinkle, do you know what an A-Bomb is? 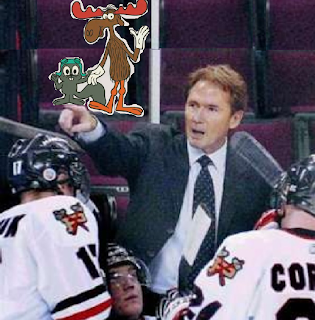 Bullwinkle: Sure, "a bomb" is what some people call Portland's team. Rocky: I don't think that's very funny. Bullwinkle: Sure it is. Have you ever seen Portland (making air quotes) "play" hockey? Full disclosure: I'm going easy on the Knights, but it's not because they are my favourite CHL team. No, the real reason is that I fear Dale Hunter. The Knights were originally named the London Nationals in homage to a seldom-discussed and horribly-unsuccessful movement to cede London, ON from confederation. The team was renamed to reflect the city's longstanding (but as-yet-unconfirmed) claim to house the Holy Grail. 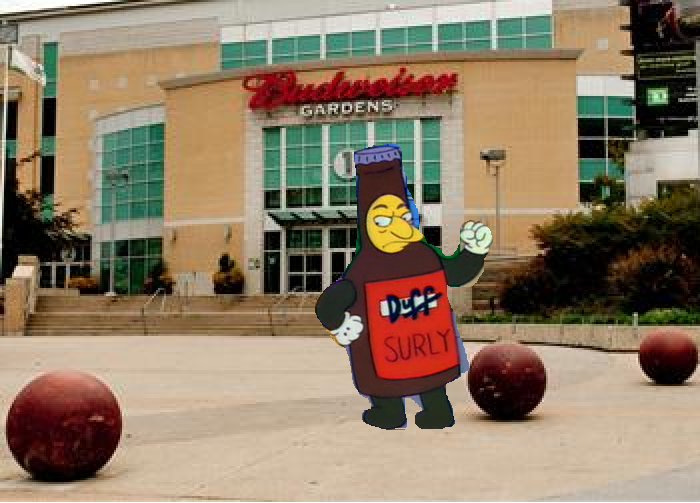 The pride of London play at the Budweiser Gardens where I'm told Surly (formerly of the 7 Duffs who performed at Duff Gardens) works security. The Knights mascot is named "Sir Scores-a-Lot," which is also the nickname given to Sir Lancelot by King Arthur's other knights of the Round Table. From attending Leafs games, I've determined that opposing fans love to chant numbers that allude to embarrassing moments in a franchise's history such as the last year in which the Leafs won the Stanley Cup. Building on this time-honoured tradition, sworn enemies of the Knights might chant "three-sixty-three" in reference to the team holding the worst regular season record in OHL history: they went 3-60-3 during the 1995-96 season. What's worse is that the team somehow didn't makethe postseason, which is an unfamiliar experience for today's Knights fans. Mockers need not say anything. All they need to do to shame the Knights is hold up a picture of Knightro. This ungodly logo represents a dark time in the history of chivalry that far surpasses the breaking of King Arthur's court and the legendary king's demise at the hands of his incestuously begotten son, Mordred. Yes, the logo is (without hyperbole) simply that bad. If fans really want something to yell at the Knights, they can shout out, "He shoots; he squires!" whenever a player misses the net and gives up an odd-man rush the other way as a result. Drawing on Monty Python and the Holy Grail, Knights fanatics might derail another team's concentration by shouting "ni" repeatedly at intense moments. They could also diminish the significance of a devastating hit by saying, "'Tis but a scratch," or taunt another team's star player by shouting, "Your mother was a hamster and your father smelled of elderberries."